LB-1970 Binocular Operational Microscope for ENT, Orthopedic, Ophthalmology and Gynecology (Microsurgery) adopts wholly new optical system, with clear image and wide view field, it is mainly used for operations and fine examinations of ophthalmology, gynecology, ENT and so on. ZOOM magnification system, 4×~24× zoom magnification, horizontal movement of foot control and fine focusing. Compact structure and complete functions. Germany imported Schott optics ensure the sharp image and even field of view. Cold light source fiber illumination does no harm to tissues. 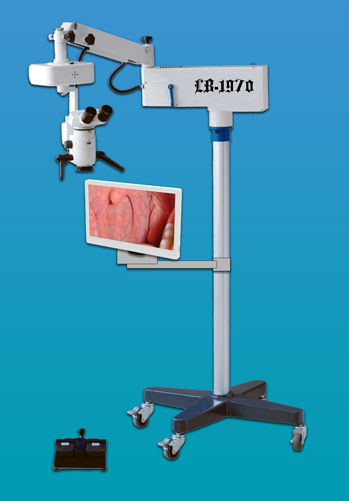 It is compact and with complete functions, it is mainly applied in clinic, hospitals and mobile hospitals for operations and examinations of ophthalmology, gynecology, ENT and so on.